Las novedades de Arista en los servicios de red en la nube están haciendo esto posible. Las aplicaciones modernas (como las redes sociales y los datos masivos), las nuevas arquitecturas (como la virtualización de servidores y el almacenamiento IP) y el imperativo de acceder mediante teléfonos móviles a todas las aplicaciones han dado lugar a una serie de grandes demandas sobre la infraestructura de red de los centros de datos. 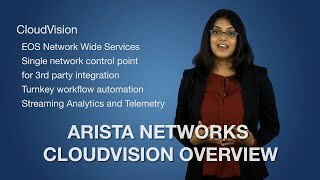 Arista Networks has championed the guiding cloud principles of cloud leaders with network designs serving private cloud, public cloud, hybrid cloud, enterprise and high-performance network use cases. These include the use of open APIs, cloud automation features, and self service provisioning and deployment – coupled with an open approach to network integration, customer programmability, and simplified standards-based deployment architectures. The five attributes of Software Driven Cloud Networking that are critical to achieving successful cloud deployments and lowering TCO are available across our entire portfolio. These attributes embody all of the core characteristics that are required by our customers to deliver highly efficient, seamless and effective Software Driven cloud IT infrastructures. Proliferation of cloud architectures and principles are transforming the traditional routing landscape. New business models around Service Provider NFV, Cloud WAN, Content Edge and data center interconnect (DCI) are disrupting the traditional approaches to networking. 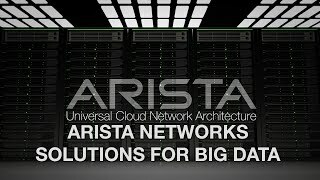 Arista's Routing solution applies the cloud networking principles of "scale-out, simplify, software-driven networking" beyond the data center to routing use-cases. 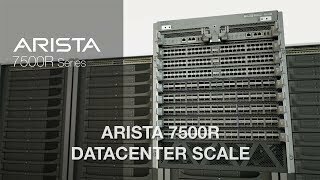 These solutions are based on Arista’s 7280R Universal Leaf and 7500R Universal Spine platforms, powered by Arista EOS® and CloudVision®. Customers can leverage these platforms for roles that require high performance Routing, combined with high port density and deep buffers, integrated DWDM with wirespeed MACSec encryption and cloud automation, which traditional Routers are unable to offer. With the Arista FlexRoute™ engine in Arista's R-series portfolio, customers can now architect, transform and modernize their Routing layer for different applications. Additionally, with the advanced telemetry solutions along with security at scale, delivered with Arista AlgoMatch, customers can avail highest visibility and security for their networks. As enterprises move from on-premises and user-provisioned cloud computing to multi-cloud deployment models, the burden is left with enterprise IT to accommodate an architectural approach across clouds. 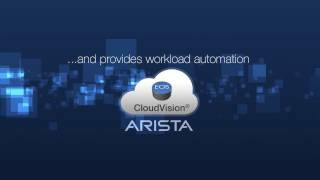 With the Any Cloud Platform, Arista is extending two proven software technologies, EOS® and CloudVision®, to empower enterprise IT with a consistent multi-cloud architectural and operational approach. The networking demands of big data analytics, flash-based and scale out storage, and hyper-converged compute solutions are driving a migration from legacy fibre channel to next generation IP-based storage networks. These next generation storage applications require an open, programmable, lossless and highly available IP storage networking solution in order to support their unique traffic patterns. Visibility is a critical component to a more efficient cloud-like network. Being able to capture what a network is ‘thinking’ or ‘doing’ is the basis for true network automation and analytics. Legacy networking has long suffered from limitations in network visibility largely due to inefficient polling mechanisms that only provide a limited subset of data. As a result, the operators of legacy networks have been essentially blinded when it comes to true network insight. 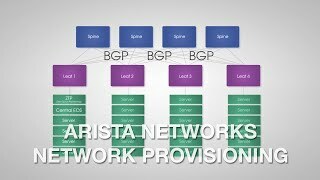 A true cloud networking operating system, Arista EOS® has been designed for advanced telemetry from the start. 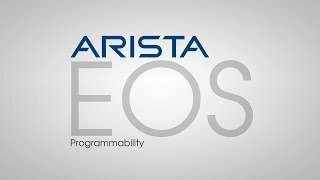 The key to Arista’s telemetry solution is the state-based software architecture of Arista EOS. From the beginning, Arista EOS platforms store all real-time state in one common database, SysDB, easily accessible through powerful APIs and SDKs. With the software infrastructure enhancements to NetDBTM, EOS-based devices are now able to stream every state change from every device into an aggregated network-wide view. 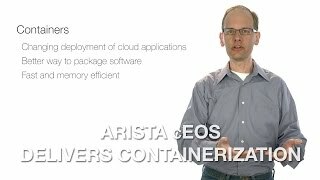 Arista offers a new approach to TAP Aggregation that delivers security, availability and data analysis for high density, non-blocking 10/25/40/50/100GbE networks at any scale– all powered by Arista EOS® software to deliver an order of magnitude improvement in the economics of building cloud-scale visibility. Next generation TAP Aggregation using Arista CloudVision® with Arista Data ANalyZer (DANZ) makes it possible to cost-effectively and losslessly monitor all datacenter network traffic, while capturing and analyzing only the traffic that is needed. DANZ is a precision visibility architecture that can scale to thousands of access points and hundreds of Terabits bandwidth. APIs and SDKs. With the software infrastructure enhancements to NetDBTM, EOS-based devices are now able to stream every state change from every device into an aggregated network-wide view. 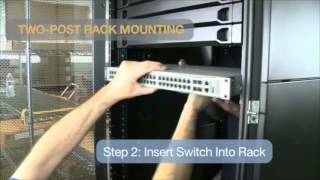 Arista is aligning with industry leaders and customers involved in the real deployment and evolution of IP networking technology and infrastructure in media and entertainment. Organizations today are embracing cloud-based approaches in their datacenter to achieve greater levels of agility and operational efficiency. Greater network scale, dense virtualization, information profusion by big data and analytics need security, protecting critical data and end-user privacy, and assuring business continuity. This is leading to a demand for a new approach in network and data security.